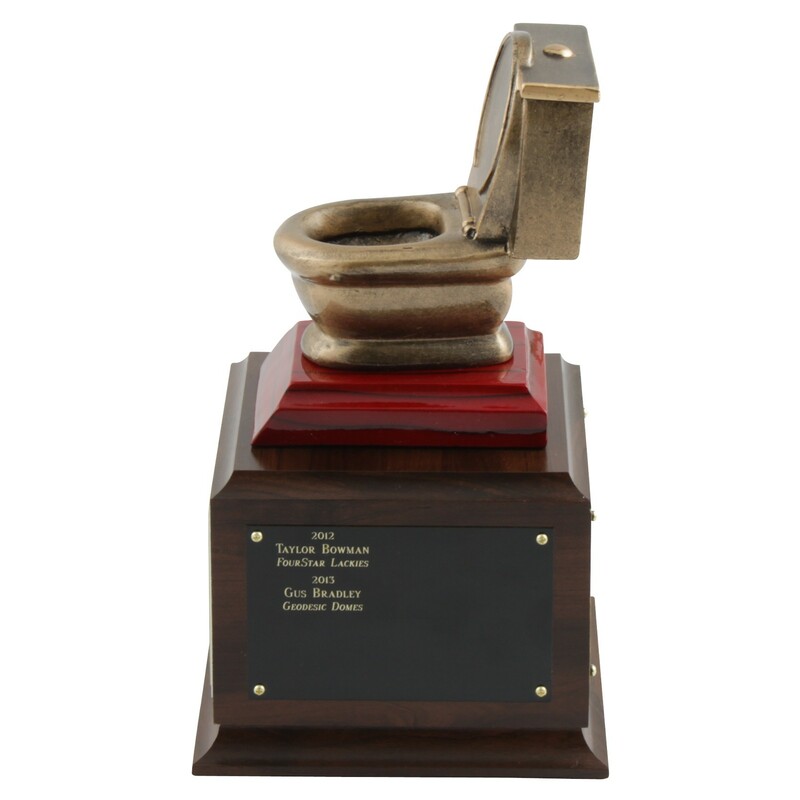 Our Middle Finger Perpetual Toilet Trophy is the perfect way to harass your biggest loser each year! Perfect as a fantasy football loser trophy or a golf loser trophy, it features a golden toilet with middle finger insert mounted to a square wood base. 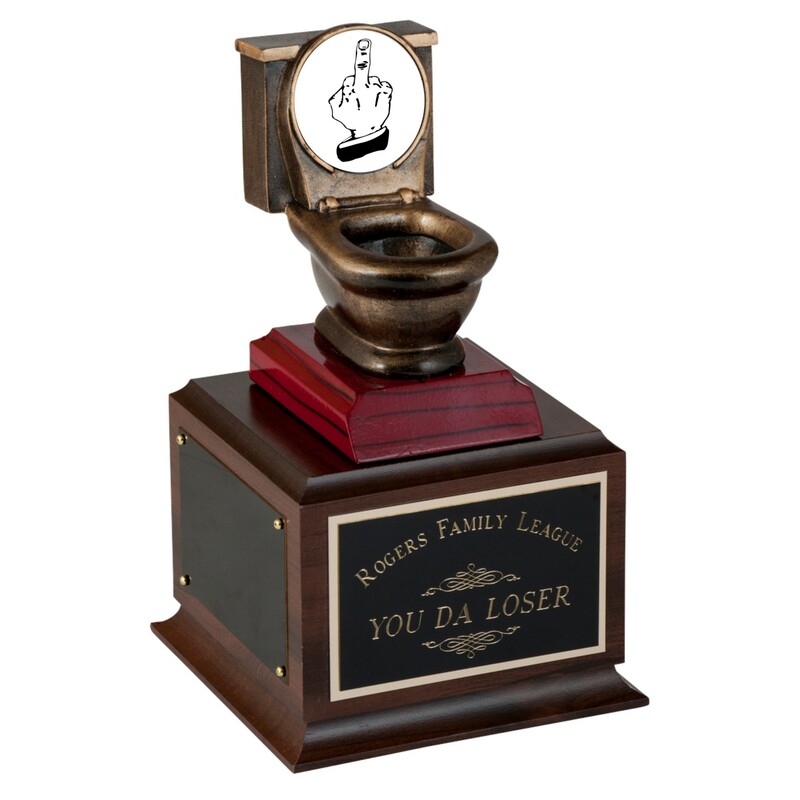 The front plate displays your custom engraving, such as your fantasy league name, golf tournament name, or the award name; add the three optional side plates to record the names of your yearly losers. 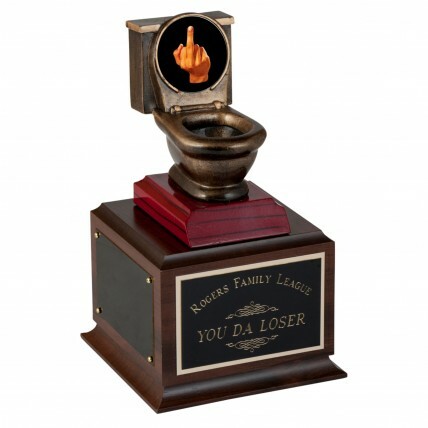 These funny fantasy football trophies come in your choice of cartoon hand or realistic hand flipping the bird.